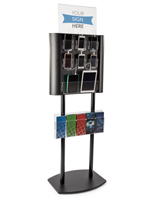 Amenities like this public wall mounted charging station are a smart way to connect to customers while providing a valuable service. 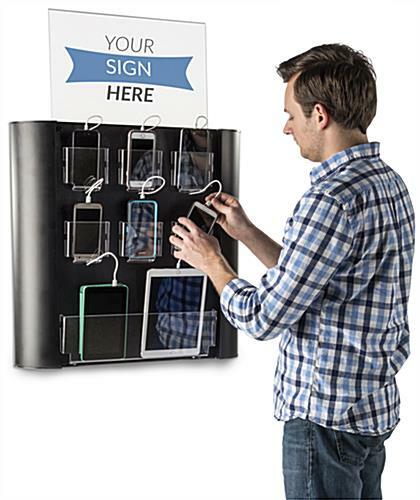 With eight cables that are compatible with most mobile devices, this electric kiosk allows almost anyone to plug in and power up their iPhone, Galaxy, tablet, or other modern devices. 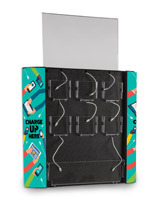 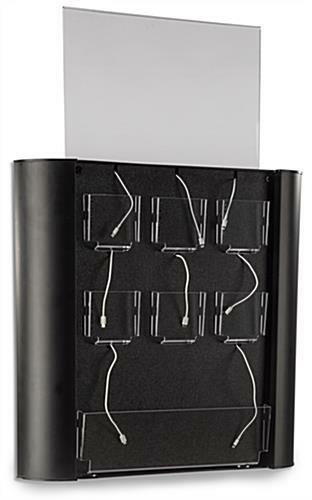 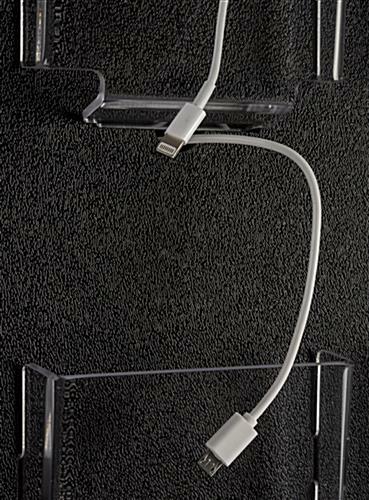 Each cell phone charging station features seven device pockets - six for smaller devices and one double-sized pocket. 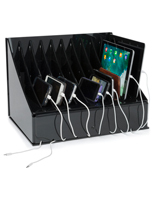 The wide pocket includes two cables and is perfect for larger devices like iPads and tablets. 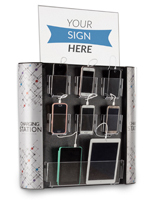 This black kiosk comes with an acrylic sign header for a double-sided advertisement option. 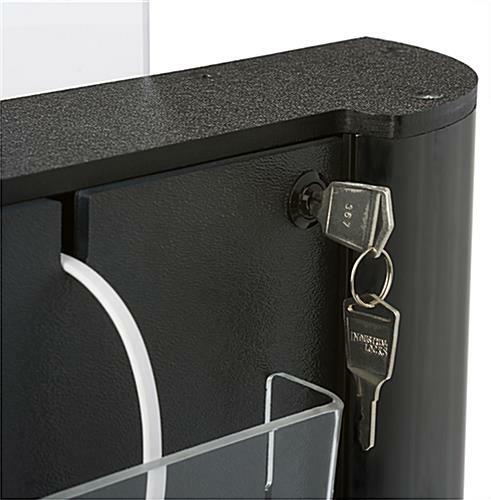 Unlock this unit's front panel to access internal hardware, including power cables, for quick and easy maintenance. 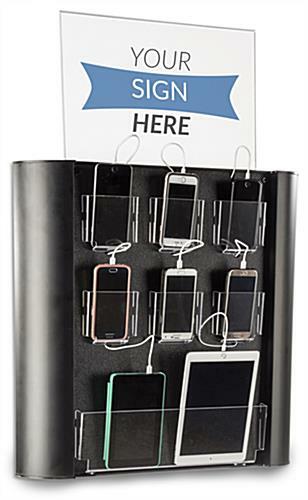 Take the hassle out of customers searching for an electric plug for their cell phone or mobile device and place this charging station in a prominent location. 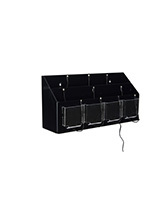 Please Note: This unit is intended for indoor use. 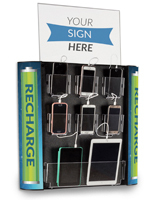 27.0" x 73.3" x 23.8"
4.0" x 4.0" x 1.0"
16.5" x 5.5" x 1.5"
The charging kiosk is perfect for our business. Our customers love having a safe and secure location to charge their phones. 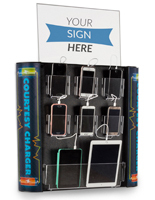 Displays 2 Go was very efficient!